Body Wash There are 35 products. 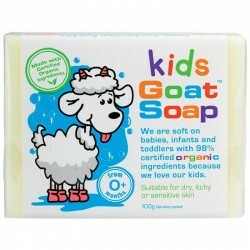 Our Kids Goat Soap with 98% certified organic ingredients is suitable from 0+ months. Containing pure sweet orange essential oil, we are soft on babies, infants and toddlers. With organic shea butter and organic glycerin to make sure your kids have only the purest ingredients on their skin. 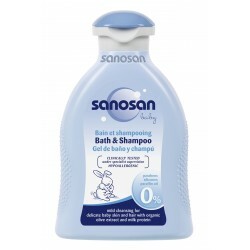 Thanks to its gentle combination of active ingredients with organic olive extract and milk proteins, sanosan Wash & Care cleanses baby's skin particularly gently. 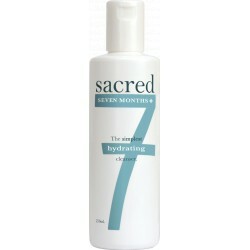 The rich formulation preserves the hydrolipid film of the skin and supports its natural balance.